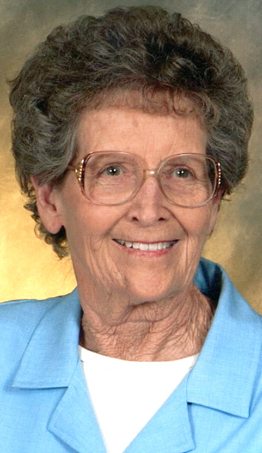 Services are scheduled for 10 a.m. Wednesday, Jan. 4, at First United Methodist Church for Thelma Irene Sierks of Artesia. Sierks, 92, beloved wife, mother and grandmother, went home to heaven Saturday, Dec. 31, 2016. She was born March 5, 1924, in Memphis, Texas, to Clarence and Ina (Shockley) Smith. On June 15, 1947, she married Raymond C. Sierks in Roswell. Thelma loved spending time with her family and friends. She so loved raising her huskies and shelties. She was a talented seamstress and an excellent cook, and enjoyed gardening. She was a generous, loving soul. Survivors include her husband, Raymond C. Sierks, of the family home; daughters Susan E. Dickens and Fran Ward, both of Artesia, and Rayma O’Connor and husband Jim of Carlsbad; sister Rosa Lee Chambers of Lubbock, Texas; grandchildren Barbara Pacheco and husband Kenny, Pamela Troublefield and husband Larry, Jennifer Frost and husband Chad, Janet Mayes and husband A.J., Rhonda Ward and David Pruett, Daniel O’Connor, and Seth Alfredson; great-grandchildren Brittany Wilkinson, Jimmy Wilkinson and wife Kimberly, Michael, Matthew, Alex and Jonathan Lunsford, Kami and Grady Frost, Sammie Jo and Mackenzie Mayes, Chloe and Dylan Pruett, Hailey Cagwin, and Raymond Tyrell Ward; great-great-grandchildren Grayson Esquibel and Kaisley Wilkinson, with another Wilkinson on the way; and numerous nieces and nephews. She was preceded in death by her parents; sister Dortha Joyner; and brother Edward Smith.